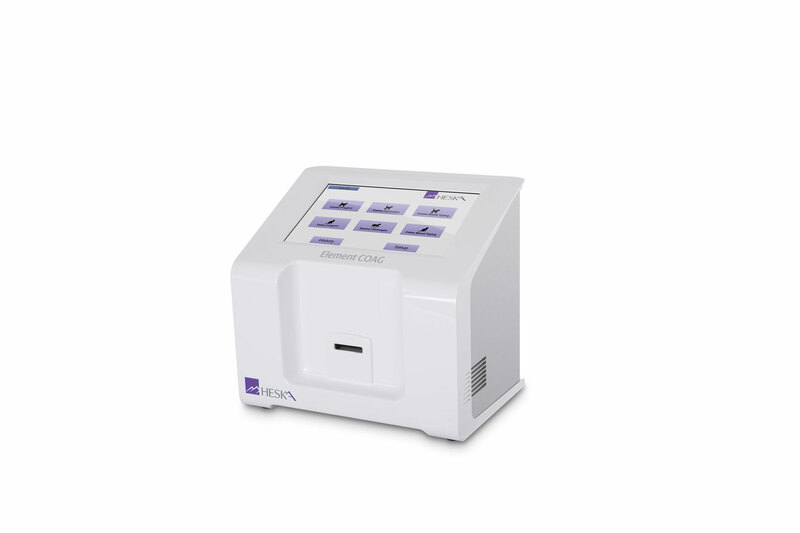 Heska Corp.’s Element COAG Veterinary Analyzer is a compact bench-top analyzer that delivers coagulation and blood typing parameters to complement the company’s chemistry, hematology, immunodiagnostics blood gas, and electrolyte analyzers. Within minutes and with only 100uL of sample, Element COAG delivers accurate PT/aPTT (coagulation), canine fibrinogen, equine fibrinogen, canine DEA 1.1 blood typing, and feline A/B blood typing. The analyzer is available for purchase or under Heska’s six-year Reset program.